MP Architects have created a sense of home in their new offices located in Tel Aviv, Israel. 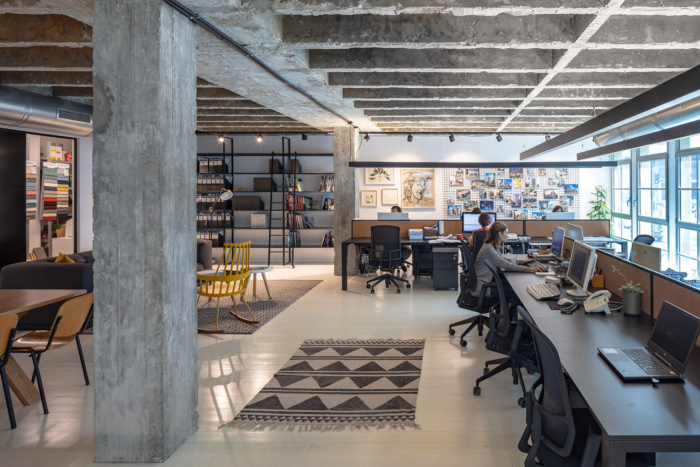 The MP Architects studio is located in the center of Tel-Aviv. The task was to convert the old office building into a space that feels like home. MP Architects used white wooden floor to create soft and cozy atmosphere. There are multiple gathering and meeting areas in order to allow architects to collaborate freely. The space is open to the street which brings in a lot of natural light.